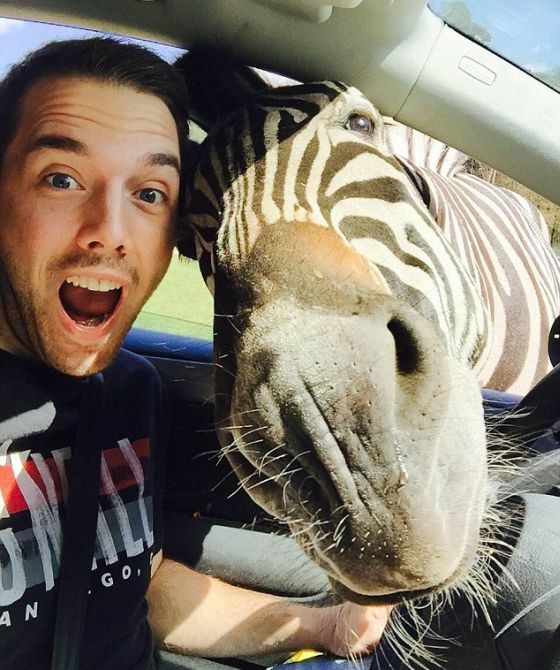 Malte Woestefeld was left stunned as a zebra photobombed his shots on a trip to a zoo. But the animal truly earned his stripes as he leant through Malte’s car window then appeared to smile for one of the snaps. “The zebra was actually super cuddly and didn’t leave the window for a few minutes,” said Malte, 24, who is studying business administration. Malte was on a day trip to Zoo Safaripark in Holte-Stukenbrock, Germany, when he managed to take the zelfie of all selfies. 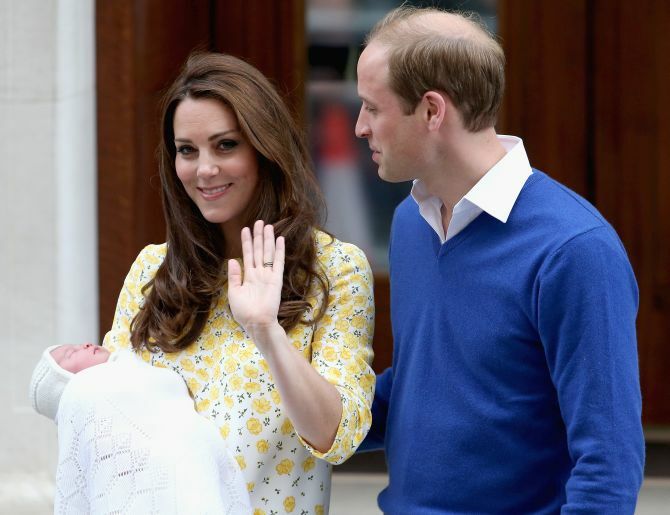 Kate Middleton looked too beautiful to have just given birth when she emerged from the Lindo Wing on Saturday, according to a bizarre conspiracy theory that has emerged in Russia. Pro-Kremlin newspaper Komsomolskaya Pravda carried the claims which were made by various Russian women. They said that it was “impossible” for the Duchess of Cambridge to look so good immediately after the birth, also questioning whether the baby was in fact born days before. 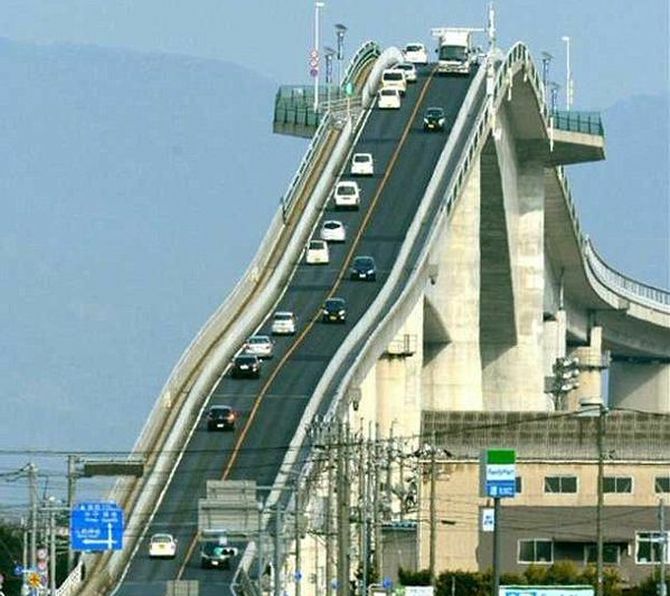 Eshima Ohashi bridge in Japan proves that you don’t need to go to a theme park to get your thrills. The terrifying ‘rollercoaster bridge’ forces drivers to navigate down a steep descent so ships can pass underneath. Spanning 1.7 kilometres across LakeNakaumi, the bridge has a gradient of 6.1 per cent on the ShimanePrefecture side and 5.1 per cent on the TottoriPrefecture side, making it appear like the apex of a rollercoaster. Students stressed out by impending exams will get a break from revision by having a cuddle with a puppy in a dedicated room. The special puppy room is part of the Stressed Out Students campaign by the students’ union of the University of Central Lancashire. 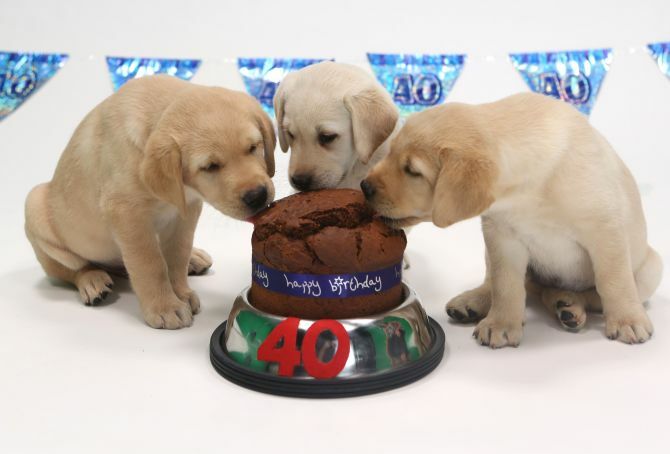 The Guide Dogs charity will be providing puppies for the one-day event, on May 7, and visitors are being asked to pay a £1.50 donation to the charity. The event is now fully booked, after students rushed to get one of the available places. 5) This ice cream costs a bomb! If you are willing to shell out $817, you may be the one of the privileged ones to eat one scoop of world’s most expensive ice cream. 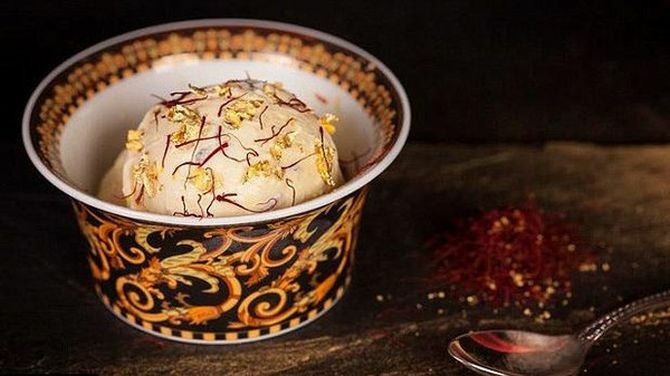 Dubai based ice cream shop Scoopi Cafe is serving the “world’s most expensive ice cream” named Black Diamond, which though has a simple Madagascar vanilla bean ice-cream base, the toppings include Italian truffles and rare ambrosial Iranian saffron, which can retail for as much as $100 per ounce. The dessert, which also has 23-kt edible gold flakes, has been ordered only twice since April 15. The consumer can leave with the Versace bowl it’s served in along with the matching spoon for remembering the luxurious experience. A Tokyo hotel has set up crying rooms specifically for women -- complete with luxury tissues and a selection of ‘girly’ films. The Mitsui Garden Yotsuya hotel in the ward of Shinjuku said the rooms are designed to allow female guests to ‘cry heartily’ in comfort. It’s part of an effort to help them to de-stress or overcome any emotional problems that may be plaguing them, the hotel said. The crying rooms feature luxury tissues that female guests can use to ‘gently wipe away their tears’ and avoid ‘swollen eyes’ the following morning, makeup remover and a steam eye mask. They can also choose from a selection of manga comic books or films that tend to make viewers cry, including Forrest Gump and the South Korean film A Moment to Remember. THE mere sight of chocolate makes Andrew Bullock flake out. The TV producer suffers with xocolatophobia - an irrational fear of chocolate. 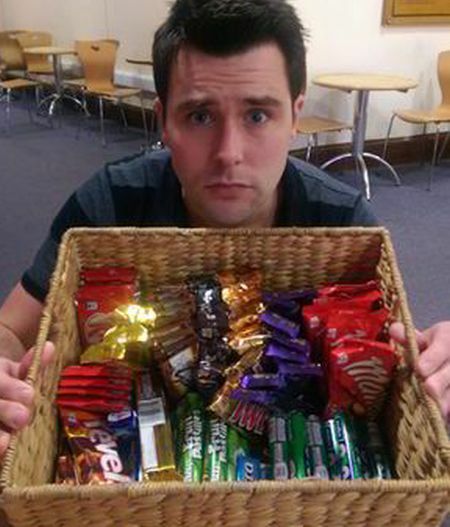 Andrew, 31, said: “I know that for some people living without chocolate would be a nightmare. For me it’s the opposite. I can’t stand to even look at it, let alone put it in my mouth.” Bullock, from Maidenhead, Berks, can trace his phobia back to his childhood when he noticed his mother was also afraid of chocolate. 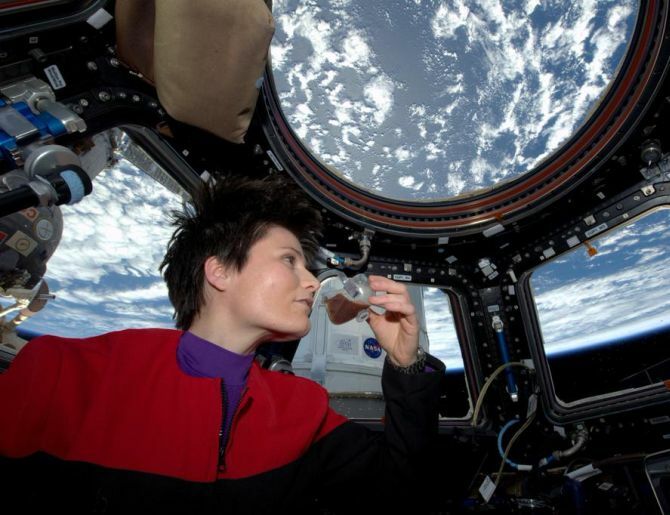 The first Italian woman in space is now the world's first orbiting barista. For the special occasion, she put on her "Star Trek" uniform top. "Coffee: the finest organic suspension ever devised," Cristoforetti said via Twitter, quoting from the old TV series, "Star Trek: Voyager. " "Fresh espresso in the new Zero-G cup! To boldly brew...," she added. Welcome to the home of strange!